My kiddos and I are having so much fun this month. 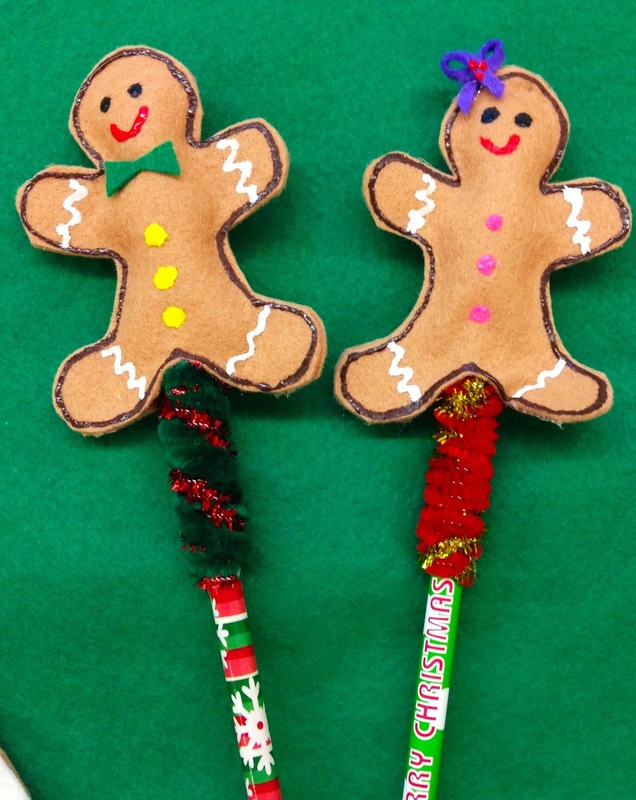 We are knee high in ALL THINGS GINGERBREAD. We have read so many versions and I still have a couple more to cover. 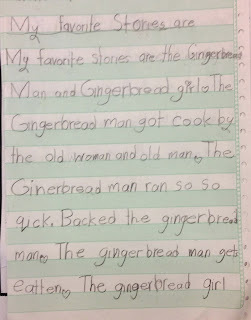 They love the all the different versions of the Gingerbread Man. I always start with the Gingerbread Man selections. 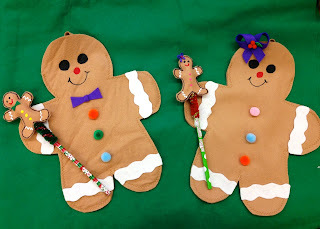 By the time we are our 3rd version of the Gingerbread Man, they are very familiar with the plot, ending, and characters. They love to listen for the variations whether in the setting or the characters. 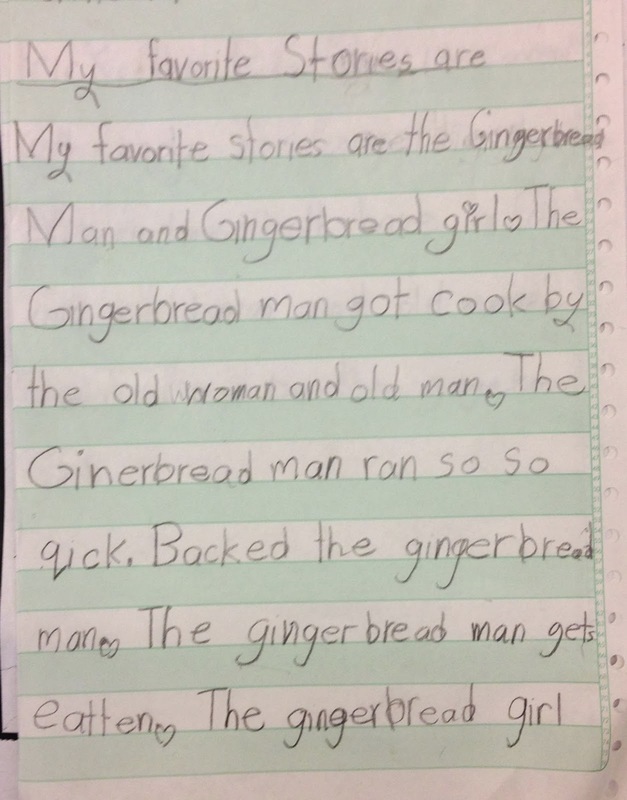 This group of kiddos really liked The Gingerbread Girl version ( I think teacher influence really had a lot to do with it). 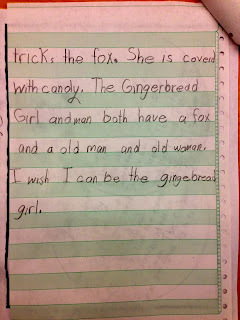 They liked that she outsmarted the fox. 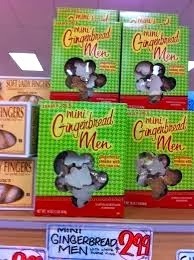 Some of my boys really like that the gingerbread gets eaten. They love to say that the fox is so devious! For some reason this group of kiddos did not like the illustrations by Paul Galdone. 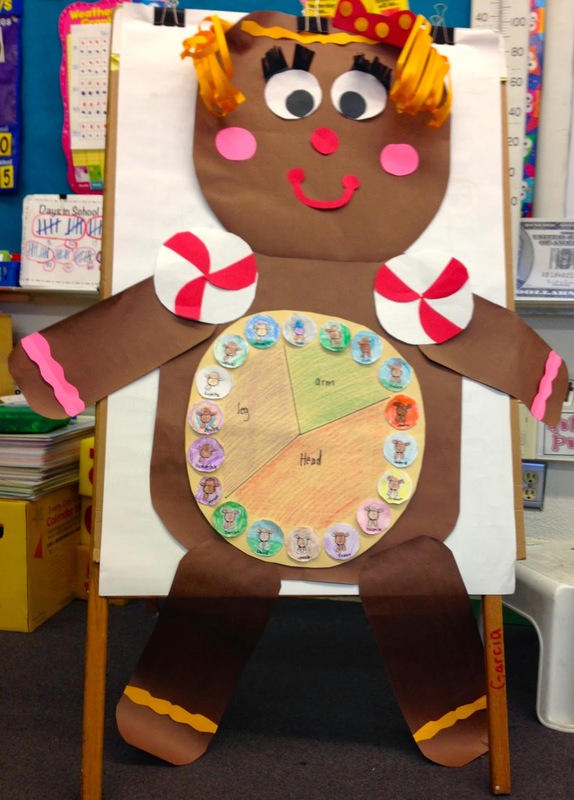 They said the Gingerbread Man looks creepy--go figure. 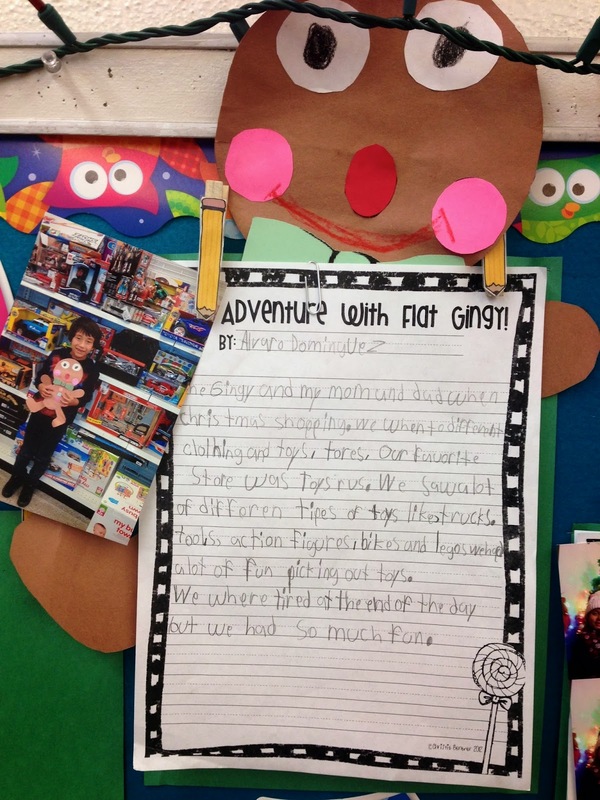 This is our anchor chart for SOME of the gingerbread stories we read. I couldn't keep going since it already covered up my whole whiteboard. One of my girls noticed most of the authors we charted were women. Talk about an inspiration to my girls. The morning after we their retelling writing on The Gingerbread Girl, they all arrived to find their gingerbread shirt and a stuffed gingerbread on their desk. You can imagine the shrieks of joy. As you already know, I am a Pinterest lover. 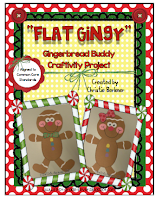 You will find many Gingerbread ideas and activities by clicking on the link. 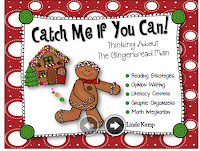 I also used the following FAB-U-LOUS resources by these amazing ladies. 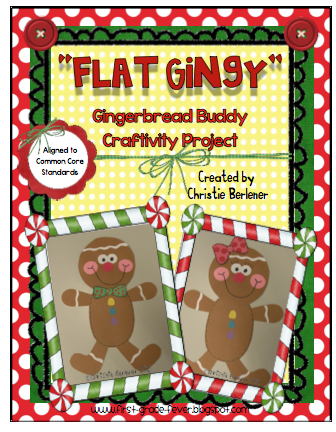 Here is our take for the gingerbread girl pie graph. 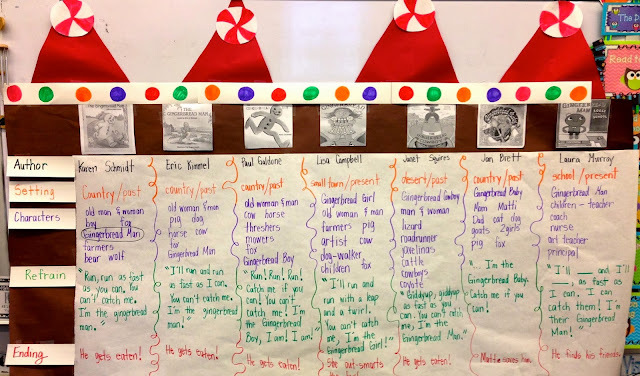 Like many of you, my kiddos got to take a bite out of the ginger bread cookie and then graph which part they took a bite of first. 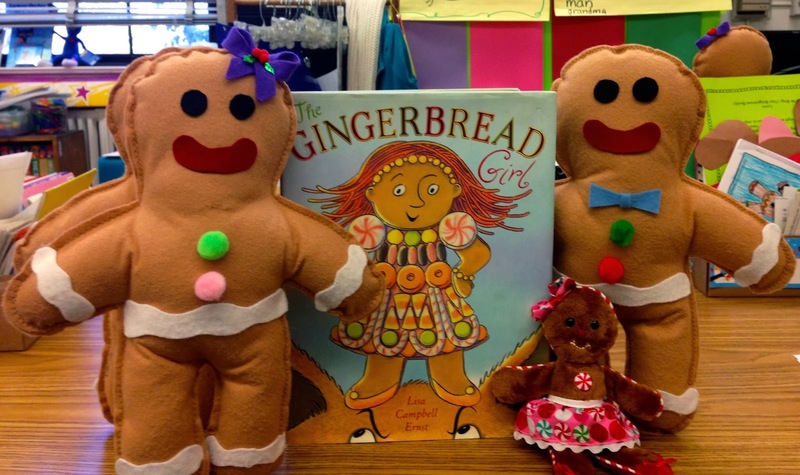 They are used to doing retellings, but having them placed on a gingerbread girl was a plus-plus! This writing activity was also a lot of fun. 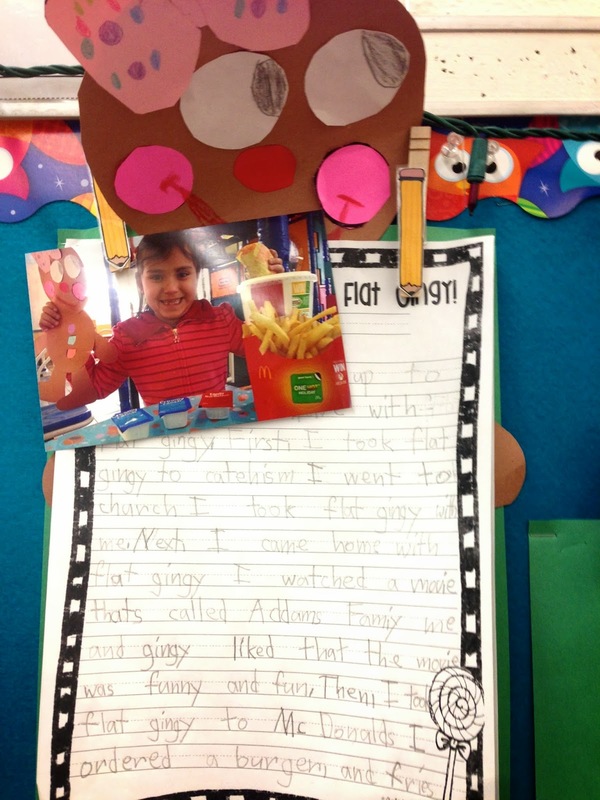 My kiddos built a "Gingy" buddy out of construction paper. They took it home for the weekend and were instructed to do a special activity with their buddy. 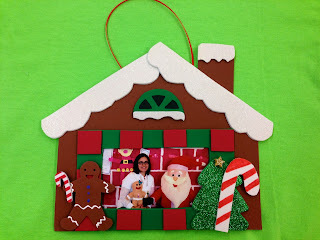 Gingy went to Toys 'R' Us, McDonald's, tree shopping, Christmas decorating, to the market, etc. 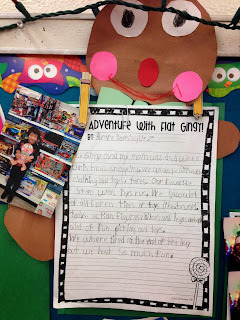 They then got to write about their adventure with their buddy. 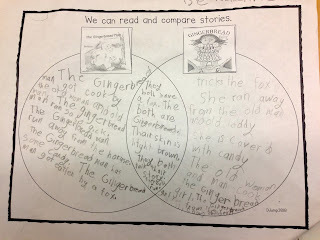 My kiddos also got to compare The Gingerbread Boy and The Gingerbread Girl version using a double bubble. 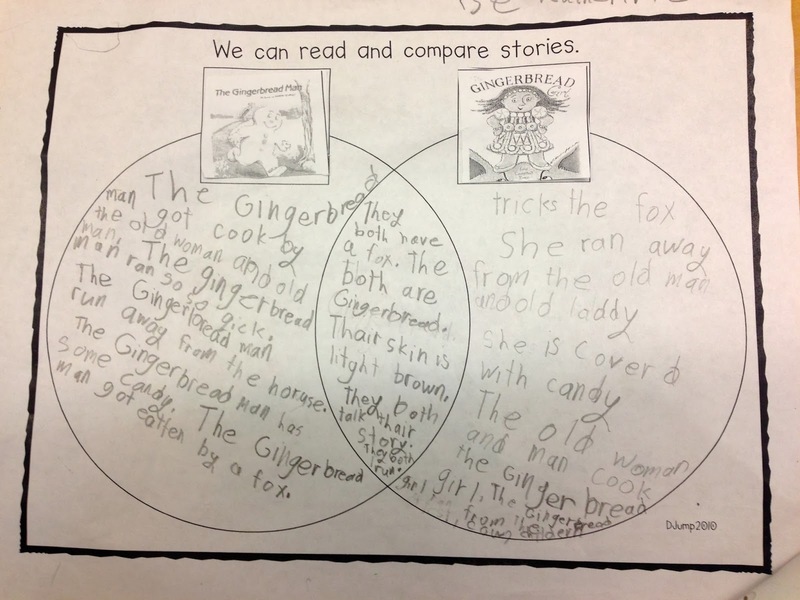 They got to work in groups to fill in their graphic organizer and then wrote about both stories similarities and differences. Since everything is all about the gingerbread, their Holiday gift will include a gingerbread pencil, frame, and stocking. All this is made possible by my AMAZING parent aid. This is a unit I could do for a whole complete month and more. What is your favorite gingerbread activity to do with your kiddos? Wow! 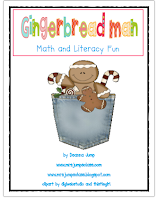 I had no idea there were so many Gingerbread Man books. It looks like a lot of fun!